For a limited time, purchase an AG-UX180 from a participating authorized Panasonic reseller to take advantage of $300 instant savings! 59.94i/59.94p mode: 1/60.0 sec. to 1/249.7 sec. Note *1: An SD memory card with a capacity of UHS Speed Class 3 (U3) is required to shoot videos with a bit rate of 100 Mbps or higher. An SDXC memory card with a capacity of 64 GB or more and UHS Speed Class 3 (U3) is required to shoot UHD 2160/59.94p/50.00p videos with a bit rate of 150 Mbps or higher. *2: It supports in record mode less than 50 Mbps. *3: Output of UHD/59.94p/50.00p becomes 8 bit 4:2:0. *4: External media devices with a capacity of below 32 GB or a capacity above 2 TB cannot be used. We're pleased to announce a brand-new free firmware update for the AG-UX180. 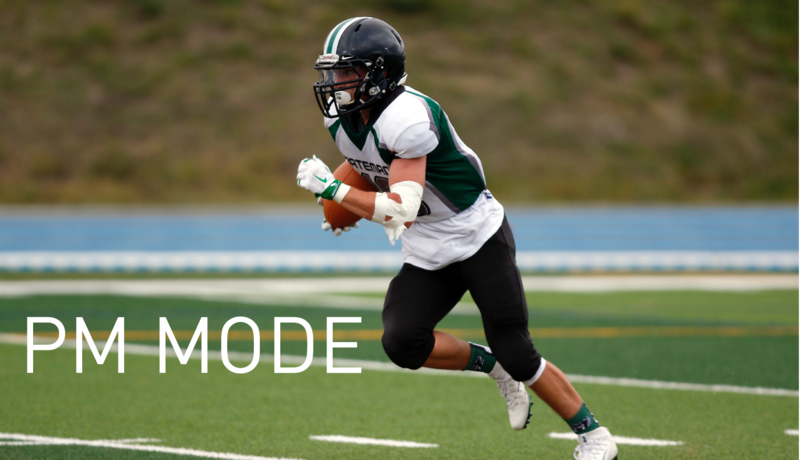 One of many new benefits is enhanced resolution in 720p PM recording mode, which is often used in sports applications, specifically coaching analysis. This enhanced resolution is useful for following uniform numbers, such as in football games. The firmware update also provides several operational improvements. For an overview of all the updates and to download the new firmware, click the link below. The AG-UX180 comes equipped with two SD cards slots, enabling options such as unlimited relay recording, simultaneous recording, background recording and UHD/FHD Dual Codec recording. Dual codec recording allows for simultaneous capture of UHD 30p and FHD, or FHD and FHD low bit rates, which essentially produces master and offline/proxy versions of footage. An efficient workflow can be achieved by using the Sub Rec File for tasks such as previews, offline editing and Internet data transfers. The UX180 comes fully equipped to help provide you with the best possible colored image, featuring broadcast-grade camera image adjustments, such as 16-axis color correction. Easily match the look of any other camera you may be shooting with, and create your own scene files. Makes skin colors appear soft and beautiful. Especially effective when recording the person up close. Adjusts the overall degree of contour enhancement. The AG-UX180 is equipped with eight selectable gamma modes, including two Cine-Like Gammas, drawing on technologies developed for the VariCam. Equipped with the features you would expect from a camera far more expensive than this one, the UX180 comes with a 3G-SDI output for connecting to an external 1080/60p recorder, a TC preset in/out terminal for time synch/synchronized multi-camera recording, two channels of XLR audio input for professional high-quality audio recording and HDMI output for on-shoot 4K video monitoring. The AG ROP app for iPad is available free of charge from the App Store. It enables wireless remote control of the AG-UX180, with installation of a wireless module (optional AJ-WM50/AJ-WM30). In addition to a multitude of control functions, such as camera settings, picture quality adjustment, REC start/stop and menu setting, the AG ROP app allows control of the UX180's internal lens for remote operation of the i.Zoom, zoom and focus. It also displays a thumbnail view and a preview view, so sub-recording clips can be displayed as thumbnails and previewed on an iPad.